Hello from the library. We would like to welcome the new 1Ls and welcome back our 2Ls and 3Ls. Click the image above to see a larger version. 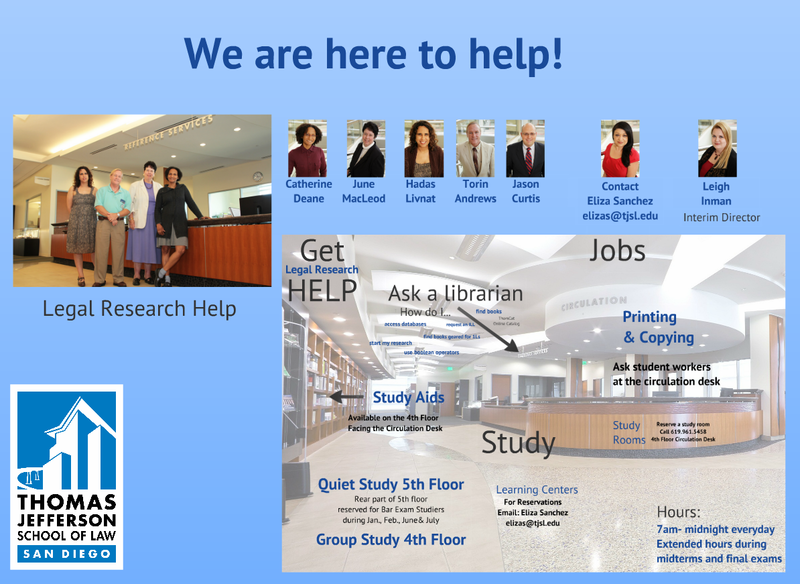 Please view this presentation as a reminder of what is available to you in the library and whom to contact about research, jobs and general inquiries (Leigh Inman, Interim Director). To help you along your path to success, this semester, we have new mini-classes for you. The schedule is shown below. 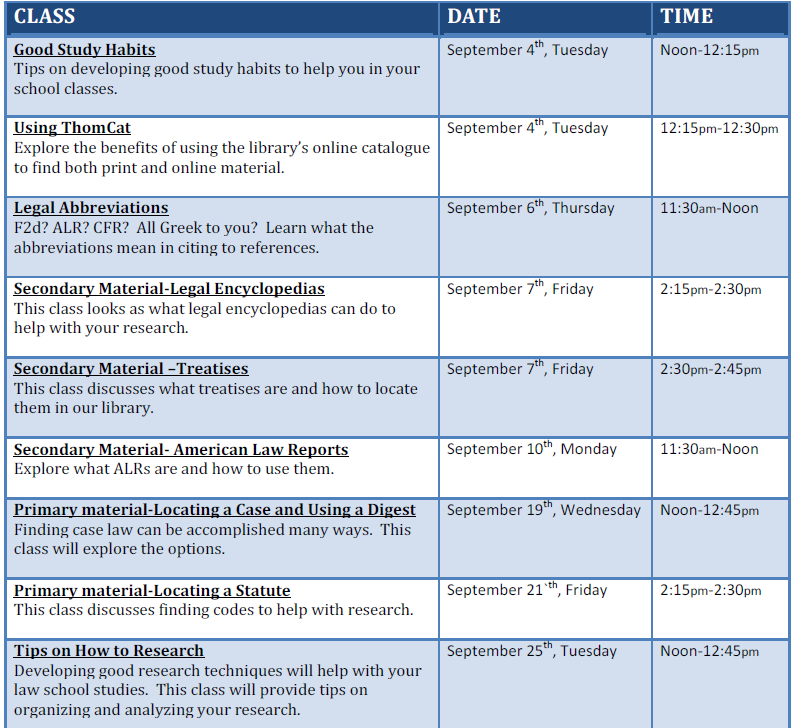 Please sign-up for mini-classes on the Legal Research Training TWEN page. Click on the schedule below to see a larger version. Please be aware of our new noise policy. 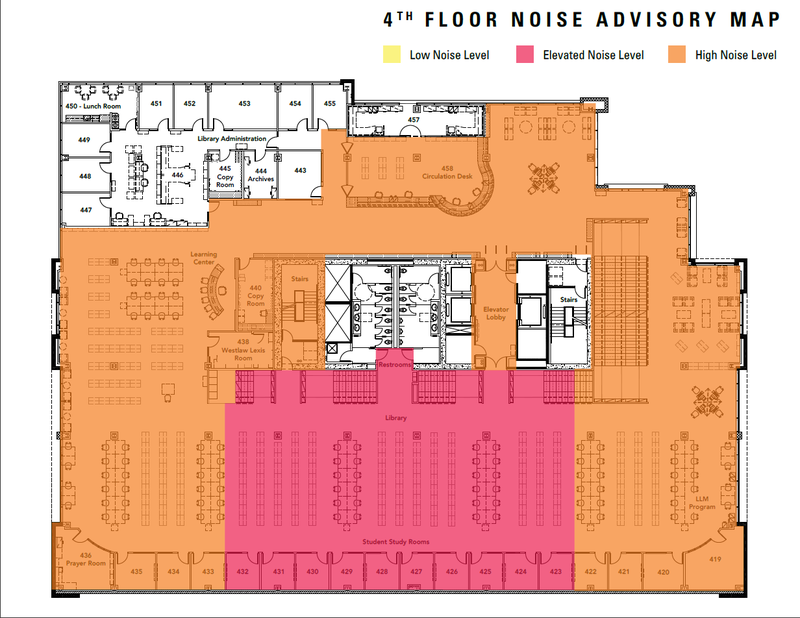 The noise map will show you where you can expect to find quiet study space (Tip: It’s towards the rear of the library on the 5th floor). Click on the noise map below to see a larger version.